Remodeling FAQ's Archives - Golden Construction Services, Inc.
How to live in your home while it’s being renovated. Arranging a home remodel may seem like it’s going to be stressful, but if you and your contractor work together to plan it out carefully, it doesn’t have to be. Here are some helpful tips to ensure your home remodel project goes smoothly while still being able to go about your daily life with minimal interference. Remodeling the kitchen is one of the biggest home remodels that can be done in a home, both in terms of change and in terms of inconvenience to the household. Everyone uses their kitchen daily for all kinds of tasks, big and small. Most peoples’ days begin and end in the kitchen: making coffee, preparing meals, washing dishes, preparing tomorrow’s lunches, feeding the pets, etc. To ensure your kitchen remodel goes smoothly, it’s best to renovate your kitchen during the summer. There are two main reasons for this: weather and kids. The first reason you might want to complete a kitchen remodel during the summer is because the weather is usually more suitable to outdoor living during this time. This means you can setup a grilling space outside for cooking meals along with a seating area for your table and chairs so dinners with love ones is still enjoyable. The second reason you might want to do your kitchen remodel during the summer is so the kids are in school for as little of the process as possible. Having the kids out of the house may sound nice during a remodel, but trying to feed them, prepare lunches, breakfast, and all the chaos that goes with it, is just not feasible with your entire kitchen out of commission. You should also consider setting up a temporary kitchen space in your dining room, or any room you are not using. You do not need a full stove to make home cooked meals and have family dinners. Crock-pots and a single or double hotplate burner make great substitutes for a stove, while a large toaster oven can do almost everything an oven can these days. You can also setup your coffee maker in this area and bring any other small appliances you use often. Covering the dining room table with an oversized tablecloth allows for food and other storage under the table so that it’s accessible but out of the way and out of sight. Setting up a clear, designated space to act as your kitchen during a complete kitchen remodel is a great way to minimize stress and still be able to live a semblance of normal life. When you begin to plan a bathroom remodel, you obviously have to consider where you and your family will be using the bathroom and showering throughout the process. There really is no substitute for a fully functioning bathroom. When it comes down to it, you have two main options: use a second bathroom in a home or rent a portable bathroom. If your home has a second bathroom your family can use until you are finished with your remodel, then you don’t really have much to worry about. But if you are not so lucky to have a second bathroom, you may want to consider renting a portable facility until your bathroom remodel is complete. Renting a portable bathroom does not mean putting a portable toilet (think fairgrounds) outside your front door, although you certainly could rent a port-a-potty for this need. But there are also other options in which a trailer come complete with a toilet, sink, and shower that can be hooked up to any homes garden hose that the family has access to a fully functioning facility during a bathroom remodel. A third, but less ideal option, is finding and planning to use on off-site facility for the duration of the project. If the bathroom remodel is scheduled to go quickly, then this option could be suitable, but sooner or later it will get tiresome. If you have a membership to a YMCA or any other gym, you could use their facilities, or you could arrange to use a friend or family’s home for your showering needs and just run out to a public restroom when that need arrises. However, as you could imagine, this routine could get old quick. 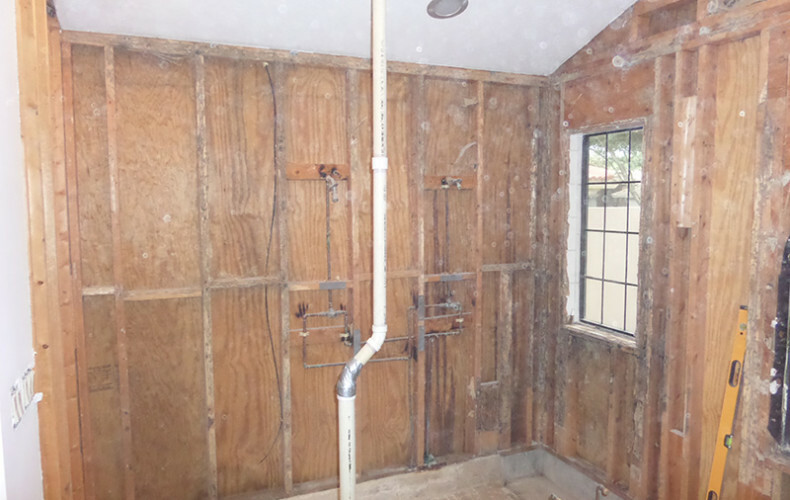 Remember, you are human and having access to relieve and clean yourself will go a long way to making a bathroom home remodel project go smoothly. Remodeling the living room is easier than you think. You basically use this room for gathering together and watching TV with love ones. While the remodeling is going on, consider renting out a storage unit to store all your living room furniture and unneeded item so they aren’t in your way during the home remodel. Then, consider spending time together in other areas of the home such as the kitchen or bedrooms until the home remodel is complete. You can even set up a space outside for outdoor gatherings and family fun. In the end, going without a living room is probably the easiest room in the house to live without, especially since so many of us these days get our entertainment on a 4 inch screen in our pockets. Like remodeling a living room, renovating a bedroom is a pretty easy fix. You can basically sleep anywhere in the house you wish with enough privacy. Kids who have separate room can temporarily sleep in the same room while the parents bunk in the living room, or everyone can tough it out together with a mattress on the floor in the dining room. Besides where to sleep, also consider storage solutions. For example, where will you put your dresser, clothes, tables, etc. while your bedroom is being fixed up? Renting a storage unit for all the bedroom furniture you are not using is a great idea if storage elsewhere is limited; you can also buy large wardrobe boxes to store clothing elsewhere in the house. Likewise, consider how you will organize the things you will need, like clothes, during this time. 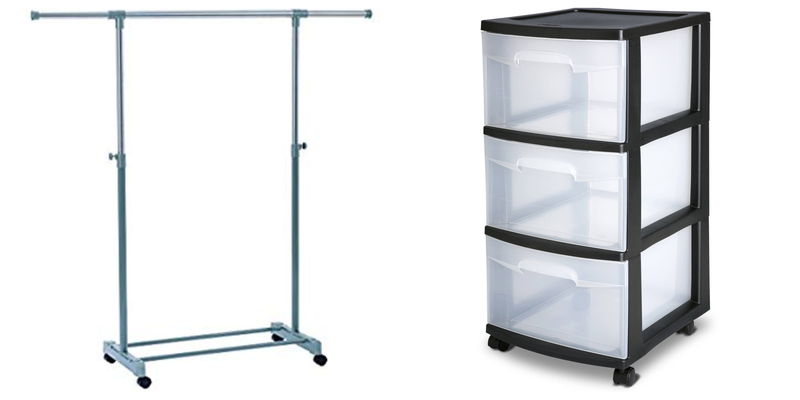 A hanging clothing bar and some plastic storage drawers will go a long way during a bedroom remodel. Add the cost of eating out into the renovation budget; it will happen a lot. Prepare for noise and dust. Things will get messy and preparing for it is best. Consider what you will do with your pets and how they will react. Hire a general contractor carefully. This will be the point person, so how well they communicate is going to be key. Be prepared for days when you don’t see any progress; renovating a big process with a lot of moving parts. Expect some delays and cost overruns. Like we said, it’s a lot of work that cannot be predicted with 100 percent accuracy. This is normal. Don’t sweat the small stuff. There will be a lot of small moments to stress over, but if you’re working with an experienced construction company, trust that everything will work out; it always does. Get out of the house altogether. Leave with your family as much as possible and do some fun things together. This will alleviate stress and make for a nice surprise when you return to see some things done. Doing any kind of home remodel requires careful planning in all areas. With a little pre-thought, hiring a quality contractor, and some imagination, your home remodel can and will happen with comfort and ease. In the end, everything will be worth it to have a beautiful new space in your home. Click here to view some of the beautiful new spaces Golden Construction Services has created. If you are interested in talking to us about a project you have in mind, give us a call at 727-452-1632 or contact us here. 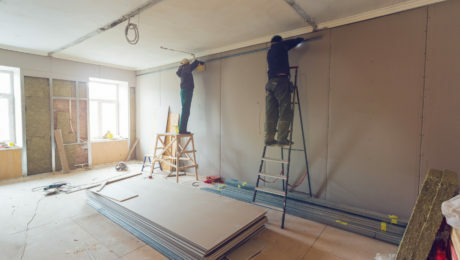 Whether you are considering a large home remodel or a small kitchen upgrade, one of the many things you’ll want to consider is whether or not this renovation will add value to your home. Most homeowners don’t want to spend a lot of money on a project if they are not going to get a good return on their investment. Here are some tips on whether a job will add value to your home or not. 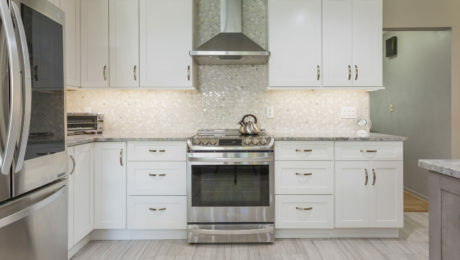 Do Kitchen Remodels Add Value to a Home? Kitchen are one of the three major things that people look for when buying a home: the location needs to suit them, the bathroom better not be small, and the kitchen better ‘WOW’ their guests. It seems likely then that a kitchen remodel would be a great place to invest when deciding what remodel. And yes, this the case, but only to a certain point. Deciding to remodel your kitchen is a great investment, often returning more than 100 percent of the cost. 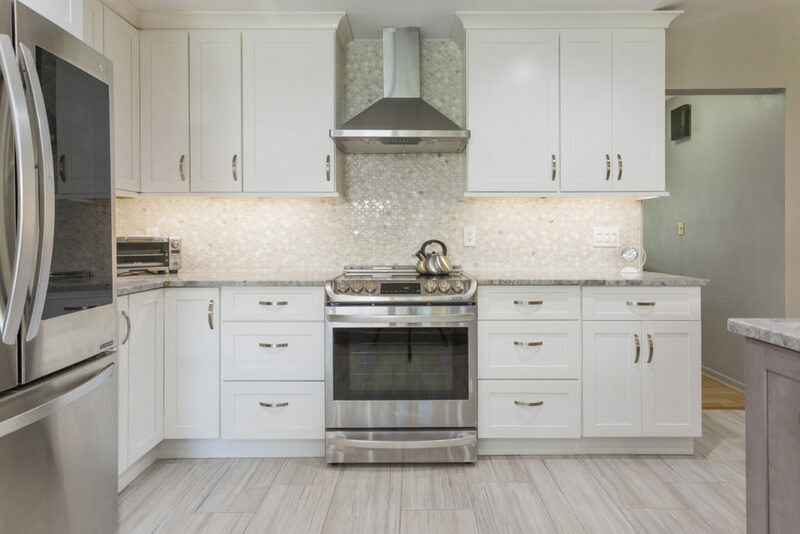 According to a study by Remodeling magazine, the markets in Washington, D.C., Minneapolis, Chicago, Atlanta, San Francisco, and San Diego all offered triple-digit returns on a kitchen remodel. Kitchens are where people spend time in their homes, so it’s also important to potential buyers that the kitchen is up to par. Will remodeling the bathroom help to increase value? Like the kitchen, bathrooms are important when determining the value of a home. Buyers care a lot about the bathroom, because after the kitchen, it’s one of the most used spaces in the home. The cost of upgrading the tub, tile, floor, toilet, sink, vanity, and fixtures all can be recoup, according to past sales’ figures from around the country. A dated bathroom will never help to add value to your home. If your home is in great shape, with a beautiful kitchen, spacious bedrooms, and a great location, then a pink bathroom from 1972 is going to go along way in making the buyer rethink the home. Therefore, remodeling the bathroom is a call you must make depending on the current state of the throne room. What about adding a bathroom to a home? If your home has one bathroom or if you don’t have a master bathroom, adding one will not only be useful for you while you live there but it can also increase your home’s value. If you add an additional bathroom to your home with at least a shower stall, this will drive up the value of your home; the more bathrooms, the better! Do hardwood floors increase add value to a home? Hardwood floors can definitely go a long way in adding value to your home. Hardwood flooring is the preferred flooring choice for home buyers since it is beautiful, natural, and stands the test of time. Likewise, consistency throughout the house is extremely important. A buyer can get over carpet in the bedrooms, but they like to see hardwoods in the main areas of the house, like the living room, kitchen, and the hallways. Nothing enhances a yard like a wood deck. Increasing usable outdoor space by adding a deck or patio is a great way to add value to your home. Decks and patios that are visible from the front also increase the curb appeal of your home. 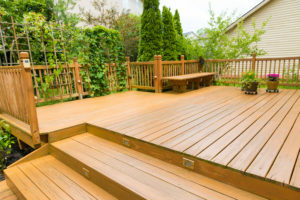 Besides the big selling features mentioned above, an outdoor deck or patio goes a long way in adding value to a home. One of the ways it does this is by seemingly increasing the livable space of the home. 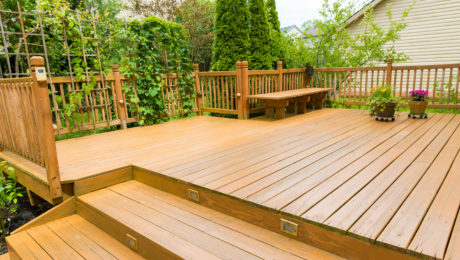 When a potential buyer is touring the home, a large, well-built deck will feel like just more space for them to imagine living in. Should I upgrade my home’s energy efficiency? Adding any type of energy efficient products such as windows, appliances, and insulation will not only save you money but it will add value to your home. Home buyers love to know that their new home will cost them less money in the long run. Do not go overboard here though, a buyer would much rather save $2,000 than to know that the insulation in the attic was imported from Italy. Does replacing the garage door add value? A nice-looking garage door goes a long way in adding value to your home. Garage doors add curb-appeal and will get you back almost every dollar you spend on it when you sell your house. People like their home to look nice from the outside, and a garage door is a big part of that (literally it can sometimes be 50% of the front of the home). What about a garage addition? If your home does not have an enclosed garage space, you may want to consider an addition. One, two and three car garages will increase the square footage, storage space, and value of your home. Does fancy landscaping add value? A general upgrade to your home’s curb appeal could marginally increase its value but high end landscaping designs with specialty items such as fountains and other ornamental structures will not add value. Does replacing the roof add value? Sometimes it is necessary to replace your roof. This is a costly and time consuming job but if the roof is leaking, a potential buyer will never get past it. Therefore, a roof pays for itself in a way, since without a replacing a leaky roof, you wouldn’t get anything. Other than that, a new roof won’t have much a return on investment. While a kitchen upgrade does add value, the high cost of a gourmet kitchen will not. Too many custom design and features may suit your taste but it will not add any more value than a typical kitchen upgrade. Installing a whirlpool tub in your master bath will add a wonderful place for you to relax and unwind. However, whirlpools do not typically add monetary value to a home. Swimming pools are typically a feature that homeowners either want or they don’t want, therefore, you could be taking a gamble on home value if you add a pool. When it comes time to pick out details for your home remodel or renovation, keep a few things in mind.First, choose materials and style that will hold up over time. All-wood cabinets, commercial-look appliances, natural wood or stone floors, and stone countertops all will survive the test of time and will not look outdated in 5 years. 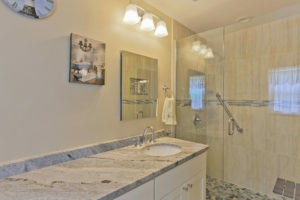 Walk-in showers are becoming more popular with the average home buyers than tubs in bathrooms; they are easy to clean, take up less space, get used more often, and are a great way to add beautiful detail. Don’t spend money remodeling a bathroom if your home only has one bathroom; your money is probably better spent adding a second bath.Don’t remove the charm of older homes. If your home was built in a different era, that adds charm. Don’t remove this charm in place of a modern trend that will go out of style in a few years. Finally, if you’re not planning to move out of your home any time soon, spend your money renovating in a way that will make you most happy. The value you get out of your own use and enjoyment of your home can’t be calculated. So before you begin remodeling your home, consider doing it in a way that you will love! For more information about remodeling your Florida home, contact the experienced experts at Golden Construction Services. 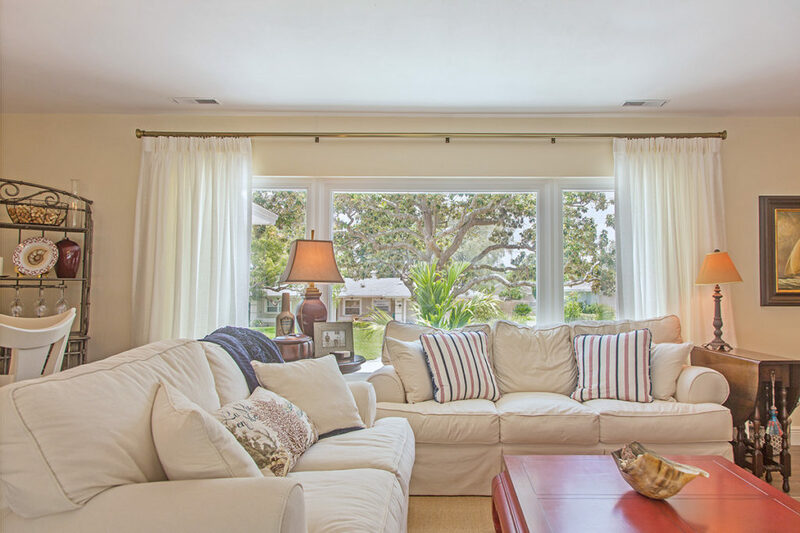 We have remodeled hundreds of homes and business and would be happy to give you our expert opinion when it comes to adding value to your home with a remodel.Check out some of our past projects here. As the owner of rental or income properties, you may want to replace some of the items inside to either update or improve the overall look of the unit while creating durability and saving you money. Often this is thought to be a stressful and time-consuming project, but with a bit of research, this interior project can be done quickly and efficiently. Improving the cabinets, both in the kitchen and the bathroom areas, can be a quick and inexpensive way to instantly transform the look and improve the overall feel of your rental or income properties for a fraction of the cost. Often the cabinetry is in fine condition overall but needs a facelift to enhance the exterior look of the unit. This can be accomplished for a fraction of the cost by purchasing new doors for the cabinets only. From a simple unfinished pine door to an elaborate piece with glass inset into the frame, the installation process is more simplistic. If these cabinet doors are going into rental or income properties, then you may consider buying the high quality, yet inexpensive, PVC cabinet doors now on the market. Available in both matte and high gloss finishes, these PVC doors are strong, durable and easy to clean and maintain for your income properties. This is also the time to consider adding new hinges to the cabinets. There are many hinge styles out there from the old style “simple” butterfly close hinge to the more modern “soft close” styles. Since the hinges hold the doors onto the cabinets they need to be durable and able to withstand often times harsher uses at an income property. Replacing worn out countertops is another way to spark up the image of your income properties, without killing your budget. New countertops are relatively easy to install on top of your newly refurbished cabinetry and will greatly improve the overall look of your income properties. Available in a large variety of colors and materials, there are many options from which you can choose. If you are looking for a cost-effective yet durable countertop in your income properties, then laminate countertops may be your best bet. With a large variety of color options to faux marble and wood motifs as well, this upgrade will make a large difference in the overall appearance and comfort of your income properties without putting a large dent in your budget. If you are an income property owner, you need to consider the budget, function, durability, and style when choosing materials. 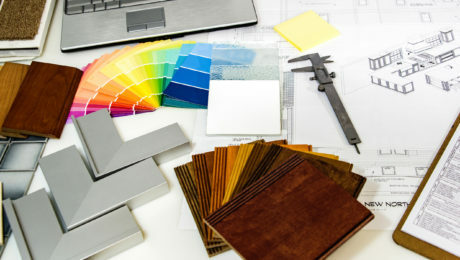 Be sure to take all of these options into account when planning your next income property remodel. Call a professional remodeling company today to help you with all of your income property needs.